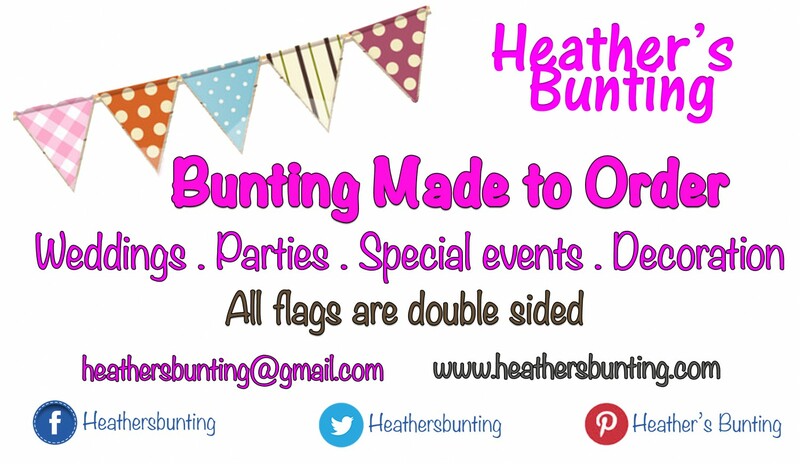 As each order is unique, please contact me by email heathersbunting@gmail.com, through this web site, my FaceBook page, Twitter or Pinterest for an estimate. My basic rate: from £5 per metre. Any other embellishments: bows, buttons etc will depend on quantity required. P&P will be added where applicable.